I have the greatest Mom in the world. Seriously. No offense to any of you reading this who have moms or are moms, but no one holds a candle to terri. Really. I love my mom for a million little things, but here are a couple dozen big reasons why I love her so much. I love that she's about the cutest thing you've ever seen. Even when she's wearing a brooch on a sweatshirt or children's sandals, she's still pretty stinking adorable. I love how much she loves my dad. I love how much she selflessly loves her kids. All five of us. I love how much she loves her grandkids. All ten of them. I love our "bits". After that weird early teenage years/arguing with each other every day phase was over, it was "Hey remember when you used to hate me?" and she'd reply, "I never hated you, you hated me!" Then for a while when I'd tease her she'd say, "You're gonna miss me when I'm gone!" To which I'd reply, "Where are you going?" Now on our Tuesday morning calls after she says "Good morning! How are you?" and I mockingly say it back she says, "Are you making fun of your mother?" To which I reply "I wouldn't do that!" And then before we get off the phone she asks me what kind of shoes I have on. None of these things are probably funny to anyone else, but they make me laugh. I love her faith. She isn't just a Christian, but she really knows and loves Jesus. I love how humble she is. I love how smart she is. Beating her at Scrabble is nearly impossible. I think it's because she can un-jumble letters like no one else. In fact, once I gave my fourth graders a word jumble I found online which didn't have an answer key to it. After no one could figure it out, I said, "Hold on kids" and I called her on my cell phone. I read her the letters and in about 15 seconds she gave us the word. My students were in awe. I love how talented she is. The cross stitch things she's done are just beautiful, and she can sing better than anyone you've ever heard. I love what a good cook she is (and that she makes things on request when I come home). I love that she doesn't care about things that don't matter. So if she's coming over and there's laundry that needs to be folded or dishes in the sink, she won't even notice. I love how cute she is when she gets things messed up. Sometimes she will say "She's up a tree without a paddle" or "You've made your bed, now you've got to eat it." Or when she's texting and her iPhone autocorrects, she says "Stupid spell check!" It makes me laugh so hard. I love that growing up she always wanted all my friends to just call her "mom" (or "terri" at the very most). No formalities in our house. I love how much she loves the Reds. I mean I like them. I love watching in person, and I will watch the playoff games, but this woman will listen to them on the radio if they're not on TV and at any given moment can name you all the players and probably tell you their batting averages. It's pretty impressive. I love her sense of humor. She's not a joke teller like her dad was, but when she says something funny, it's really funny. I love the way we can sometimes look at each other and silently know we are thinking the same things about someone. I love that she's a perfect balance of the storytelling of her dad and the "Do you like it? Well, you can have it if you want!" of her mom. It's like a little bit of Mamaw and Papaw Wells all rolled into one. I love how when she texts me she often throws in a bonus PS that's semi-related to what the text is about. I know that's Papaw Wells coming out in her, but I think it's about the cutest thing in the whole world. I love that she's addicted to her iPad games and if I don't play my turn she will text me or call me to let me know she's waiting. I love that she brought me up with rules and values. I am thankful that she loved me enough to set boundaries and hold me to high standards. I love that she taught me life skills. I have known how to budget for groceries, paint a room, and balance a checkbook all before I could even drive a car. I love how she's so strong, and she's made me strong. I don't even think she knows how strong she is or what a great example she's set for me, but she's fought through some seriously tough crap, and she's about as much strength as you could possibly pack into a 4 ft 10.5 in body. I love the way she let me be my own person, and continues to support and praise me every chance she gets. I love that I know whatever I do and wherever life takes me, she will be in my corner cheering me on. 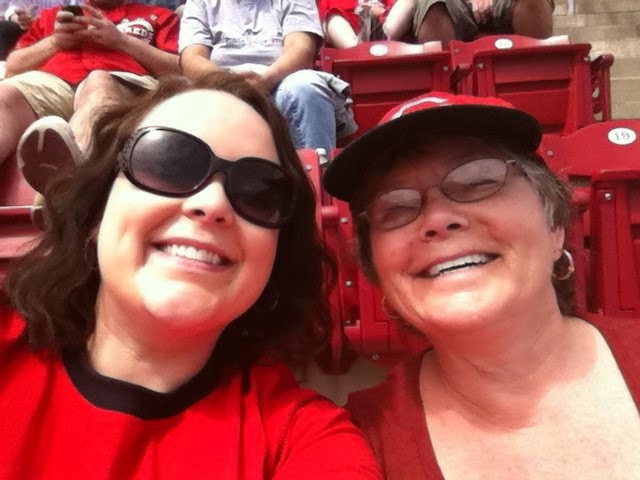 She's the greatest mom a girl could have and I am so very very lucky that she's mine. Happy Mother's Day Mom! I Love U! Such a sweet post! I hope and I pray that I can be a Mom like yours. If my kids turn out half as awesome as you, I'll be proud! Your a good daughter and a talented writer! 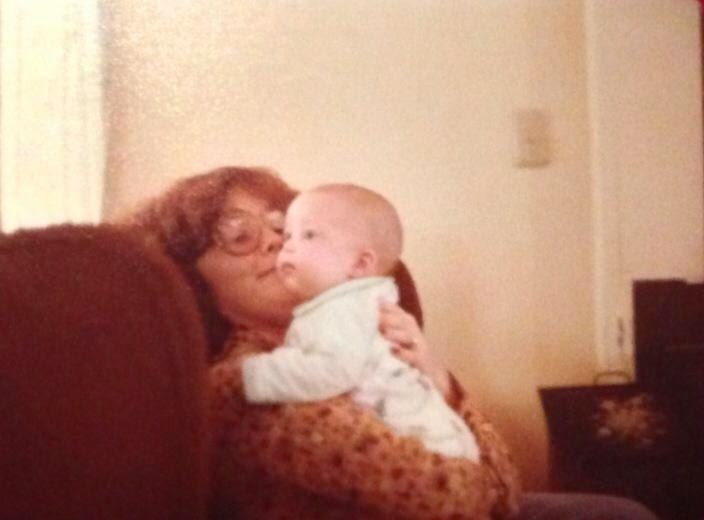 I feel like I owe your Mom a hug for Mother's Day. Tell her thanks for setting such a great example!